These days whenever I got the chance to hang out with my friends and peers, our topics that we'll be talking about are mostly about parenting/motherhood, politics and investing for houses. Those are the three main topics that we would talk about. haha. Oh, man...how we've grown! It just feels like yesterday we graduated from our uni...and now, all of my friends have started a family and planned a life ahead. - Where to settle down, how many kids we want, what type of house to live in, which school to send our kids to, where to invest, when to buy the first home, second home and yadda yadda yadda.. You know, grown up stuff! haha. I don't really talk about shoes and bags anymore. Right now my world revolves around changing diapers and pumping milk! LOL. Really, having a baby changed my whole life. I'm not really the person that I used to be - you know the girl who loves all things girly and pretty...like shoes, make up, fashion & etc. These days though, I'm more interested with baby/family and home-decor stuff.. I'm like so obsessed in providing/getting the best for my family. Probably because we just started our little family now... So everything is kinda exciting to us. Like buying a dining table set, or decorating my baby's nursery...or even purchasing a statement piece of wood display to put in our living room! haha. You know..stuff like that! 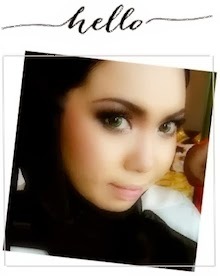 Every thing is just so fun and exciting when you start to live on your own, with your own family. Anyway, have you guys bought your own home yet? So what are your requirements or criteria for your investment? Is it the location? The type of the house? The amenities and facilities? Freehold or leasehold? Etc etc... Well for me, I'd definitely look for the facilities and the location. Since we are a young couple and just started a family, living in a residence that provides all the facilities that we need for a practical life is such a great thing because life unfolds from within your home, then it radiates through the aesthetics of the surroundings! 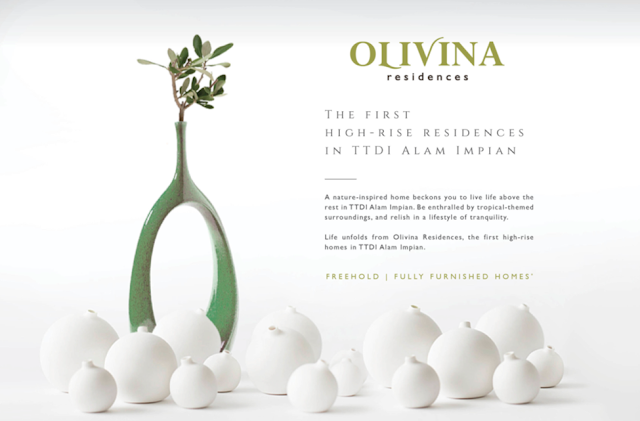 So recently I found out about a new residential in TTDI Alam Impian called the Olivina Residences. It is the first high rise, resort-inspired residential development in TTDI Alam Impian - inspired by quality living in the vicinity of tropical greens and refreshing water features. What makes me so impressed with the Olivina Residences is their ingenious layout design of the house, the free furnish package, the landscape and the clubhouse facilities that they have to offer! Oh, did I mention, it is a FREEHOLD property! Another reason to invest in the Olivina Residences that is the ideal home infused with tropical and resort inspiration..
Nestled amidst artistically landscaped parks and natural water features, the 208-acre TTDI Alam Impian is the amalgamation of freehold residences designed to foster close-knit communities. With a choice of high rise, called the Olivina Loft (15 storey) and the low rise, Olivina Grande (8 or 9 storey), this residence is the most anticipated project among homebuyers in Shah Alam and beyond! Why? Because not only it is the first resort-inspired residences in TTDI Alam Impian but also because it is the first fully furnished residences in TTDI Alam Impian! So once completed, units in Olivina Residences are ready to move in as each home comes fully furnished (terms & conditions apply), minimizing the cost for additional renovation and furnishings. It's such a valuable investment for large families and investors alike! The unit size ranging from 850 sq ft for High-Rise, and 1160 sq ft for Low-Rise, by the way. 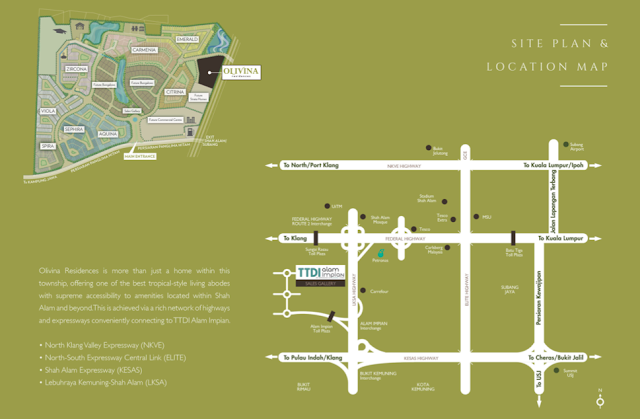 The residences are more than just another living space within this township; it offers one of the best resort-style living with supreme accessibility, which is connected by North Klang Valley Expressway, North-South Expressway Central Link, Shah Alam Expressway and Lebuhraya Kemuning-Shah Alam to amenities located within Shah Alam and beyond. Anyway...there will be an Exclusive Preview for this Olivina Residences on the 24 and 25th October 2015, at TTDI Alam Impian Sales Gallery from 10 am to 6 pm! If you would like to be the first ones to view the property, do RSVP today to receive your invitation to the exclusive preview of Olivina Residences. Only on first-come-first-served basis as units are limited. 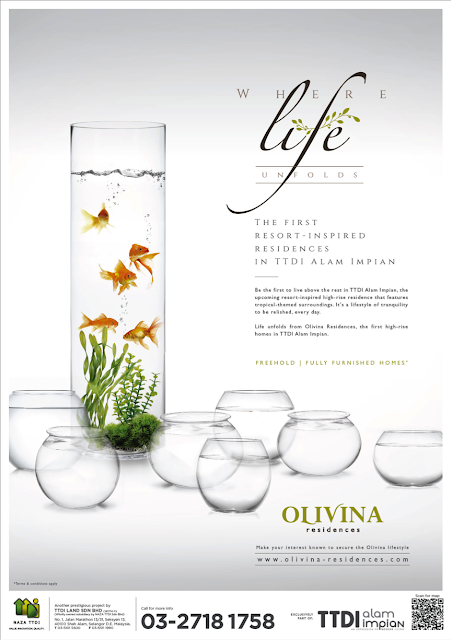 You can register at www.olivina-residences.com or call them at 03-2718 1778.